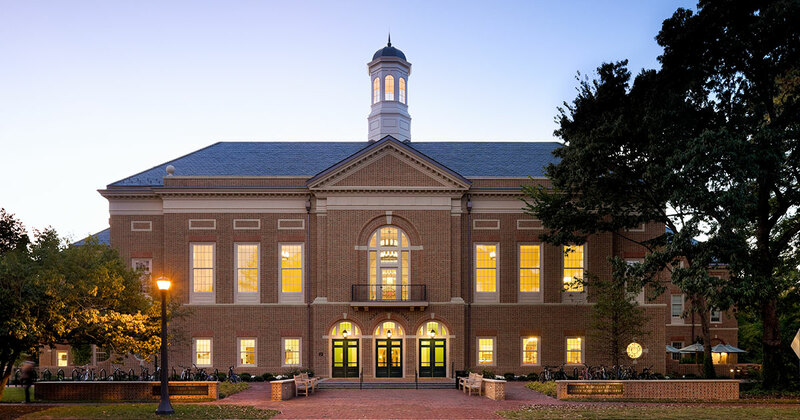 Why W&M Full-Time MS in Business Analytics? Combining advanced analytic methodologies within the context of business management, our Master of Science in Business Analytics is a full-time, accelerated program that can be completed in just two semesters. Graduates will gain a competitive advantage in a high-growth field that is backed by William and Mary’s 300 year history of success. Specifically, our program will teach four key areas of business analytics: business acumen, applied mathematics, computing technologies and communicating with impact. Fast track your career with a top-earning niche. The MSBA was designed to meet the growing need for data science professionals, giving graduates the skills necessary to help organizations harness and understand the power of information. You will emerge with the analytic expertise to solve complex problems from multiple perspectives, making you the strategic asset companies want to hire. The curriculum is highly progressive and structured with all students completing a plan of study where business context is taught first, followed by a deep dive into analytic applications and culminating with a capstone project where real business problems will be analyzed and solved. The demand is clear. Job openings in the field have increased 136% in recent years, yet business leaders with analytic skills are in short supply. It is estimated that, by 2018, there will be a shortage of up to 1.5 million data professionals. To meet this demand, our program concentrates on developing not only a student's mathematical and technical abilities, but also their strategic insight and visualization skills. Job placement in this field is very high, offering a potentially excellent ROI for our graduates. The Raymond A. Mason School's business faculty is ranked 4th in the nation by The Princeton Review and gets an A+ from Businessweek. Plus, our full-time MSBA classes are intentionally small compared to other business schools, so you’ll have one-on-one access to these leading business thinkers. The faculty in our MSBA program have all been actively engaged in real-world applications of business analytics through their consulting activities. As you’re building your analytic tool-kit, the program will also help leverage your new skill set to land the most optimal job. Our program provides access to our Graduate Career Management Center with dedicated career management professionals who will provide assistance in resume writing, interview coaching and networking so you can maximize your job offers and reach your career goals. The MSBA Program is accredited by AACSB and SACSCOC.